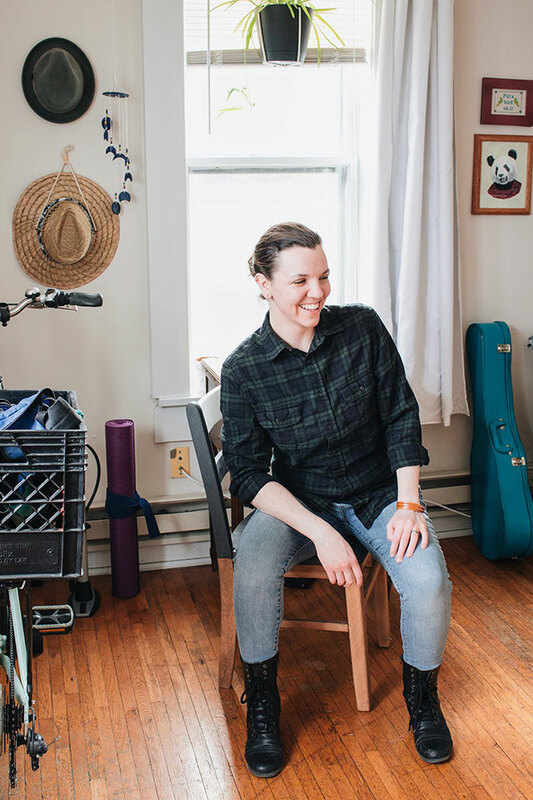 Today's edition of Tomboy Tailoring is going to cover an issue I've commonly run into: button-down shirts not fitting in the waist. It makes sense. Men's shirts are built for people without hips. I definitely have hips, so my shirts always pucker around the bottom. If you've run into this problem, it's an easy fix. Everyone, meet the gusset. 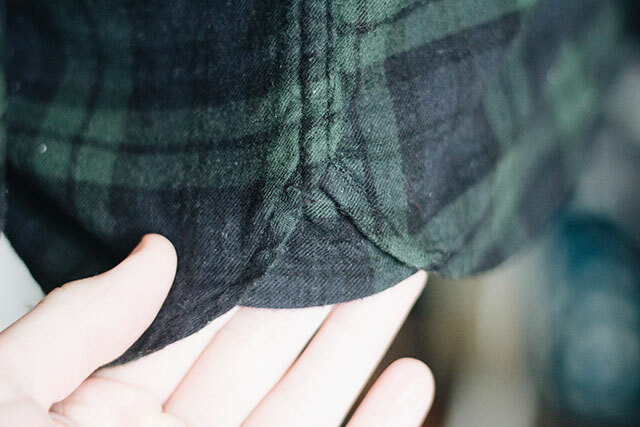 It's a little triangle of fabric that normally reinforces the side seams of your shirt, but for us, is going to be the extra material we need to create more room for our child-bearing hips (or not-so-child-bearing hips). 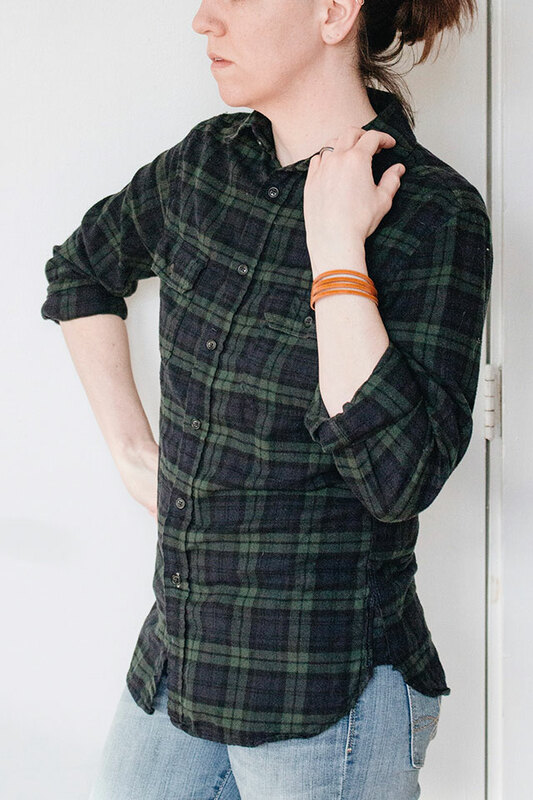 If your shirt doesn't have a gusset, you can use a piece of matching scrap fabric instead! Get out your seam ripper, and remove this little triangle of fabric. You might luck out and see that it's actually folded in half, meaning it's double the size. Now have even more fabric to work with! If there isn't a gusset in your shirt, cut a small triangle of fabric that matches with your shirt. Put your shirt on, and button it up all the way. 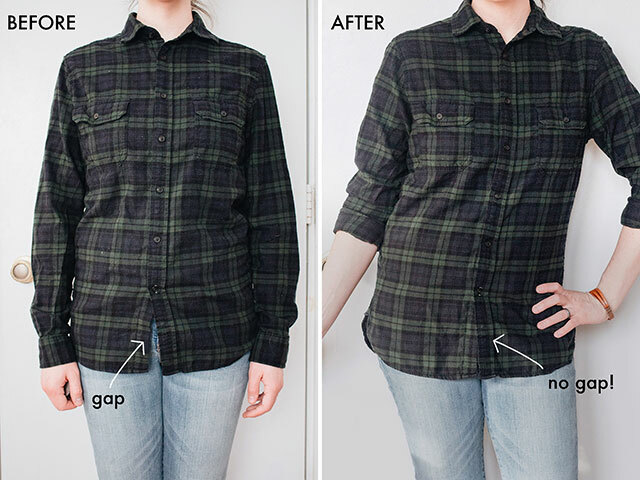 Stand in front of a mirror and determine where on your body the shirt starts to get tight. For me, it was around the last button. 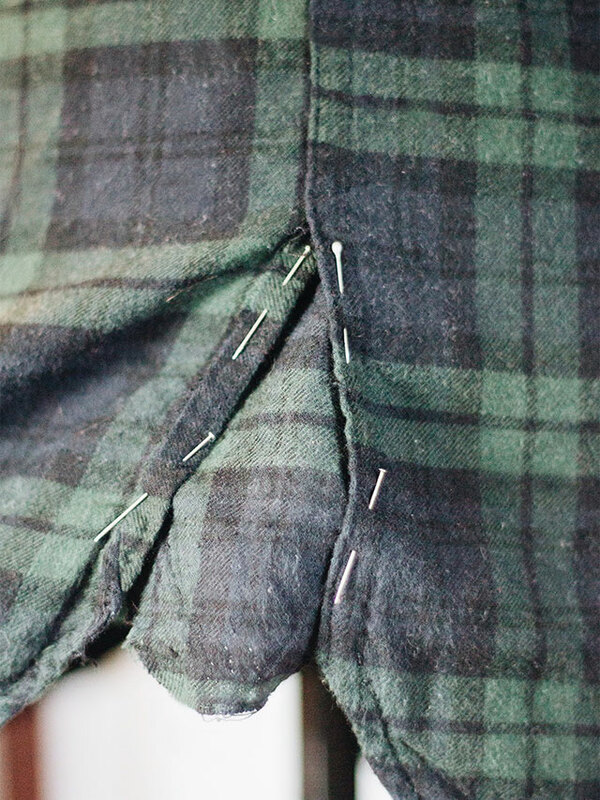 Use your seam ripper, and open the side seams up to that point of tightness. Stitch straight across the end of the seam where the opening starts to keep the sides from unraveling further. Pin the triangle of fabric (whether it's the gusset, the open gusset, or scrap fabric) under the open seam. Stitch it in place. 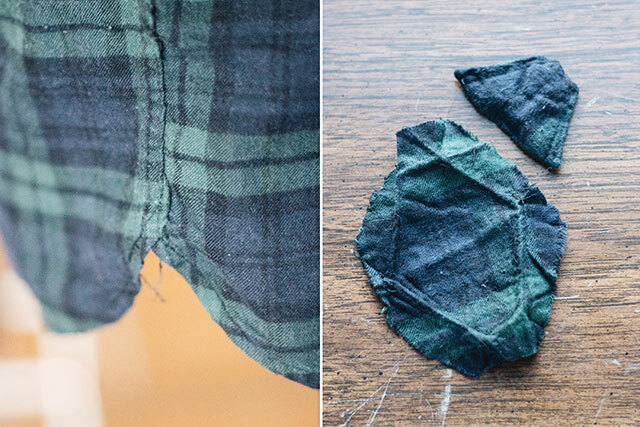 If you're using scrap fabric, you'll need to hem the bottom of the triangle, too. Done! Enjoy your extra wiggle room. 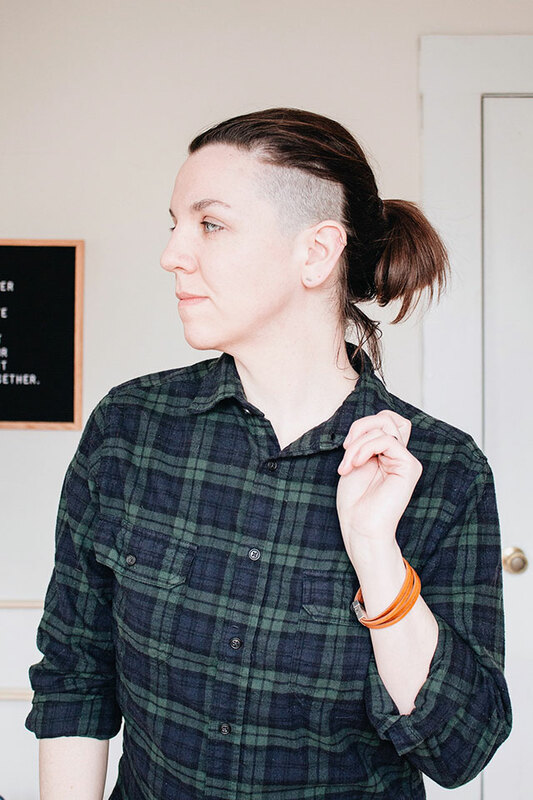 If you're looking for more way to alter men's clothing to the femme frame, read how to shorten a cuff length and how to tailor a blazer sleeve.